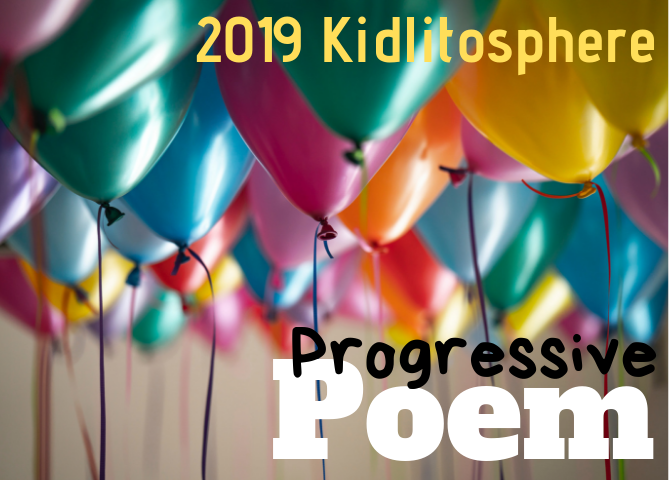 We are still writing poems in my classroom even though April is over and May is here. This week we worked on poems for our mothers. 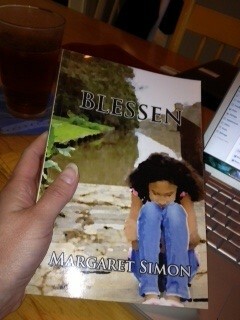 If you are a mother of one of my students, stop reading now and save it for after Mother’s Day. You don’t want to spoil the surprise. 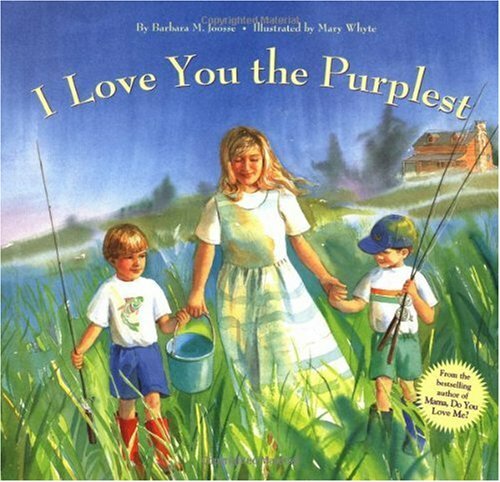 I love the beautiful picture book, I Love You the Purplest by Barbara M. Joosse. 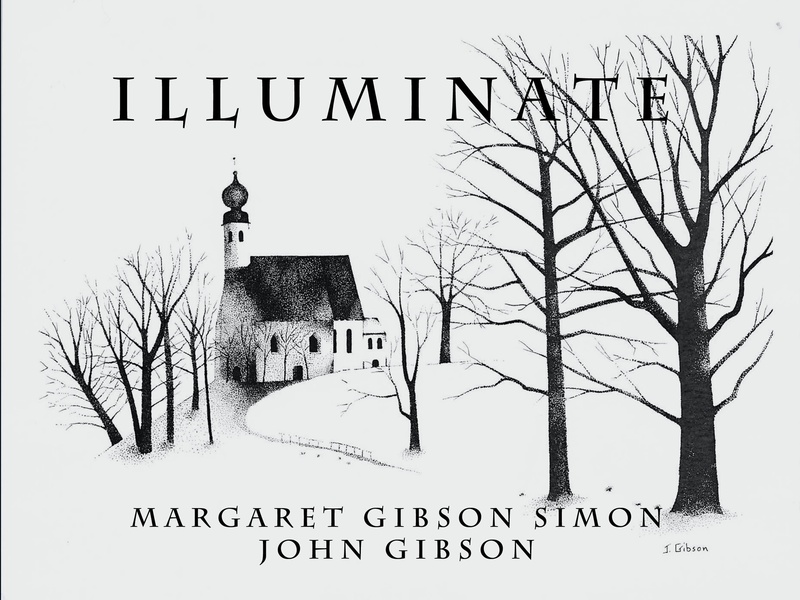 The watercolor images by Mary Whyte are amazing. The story is sweet about a mother going fishing with her two boys. The boys want to know which one she loves best, and the mother cleverly answers, “Julian, I love you the bluest. I love you the color of a dragon fly at the tip of its wing.” The other boy, Max, she loves the reddest, the color of the sky before it blazes into night. After reading the book to my students, we talked about colors and what they can symbolize. Each student selected a color and made a list of possible things to use in a poem. There are some great resources for this lesson on Writing Fix. You can find a list of color metaphors as well as a printable form. 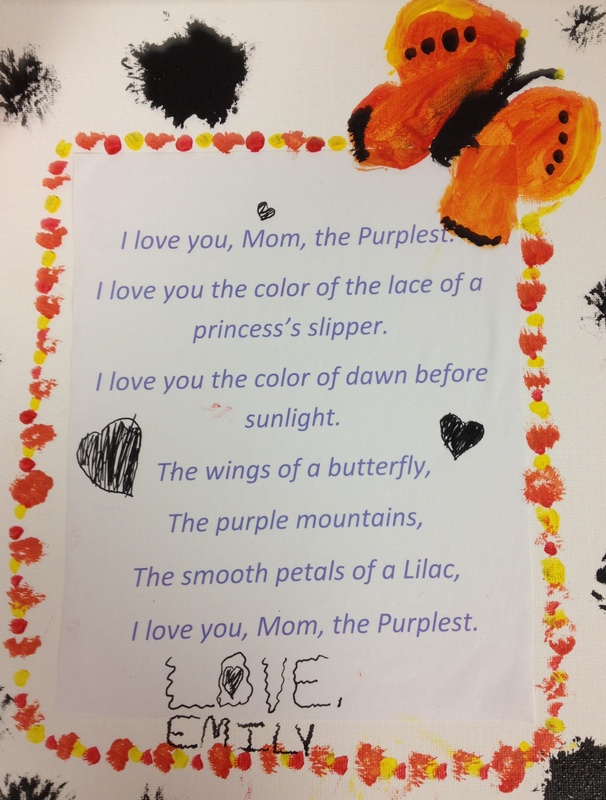 Specifically for the Mother’s Day poem, I asked the students to write about their mothers. They wrote some great poems. 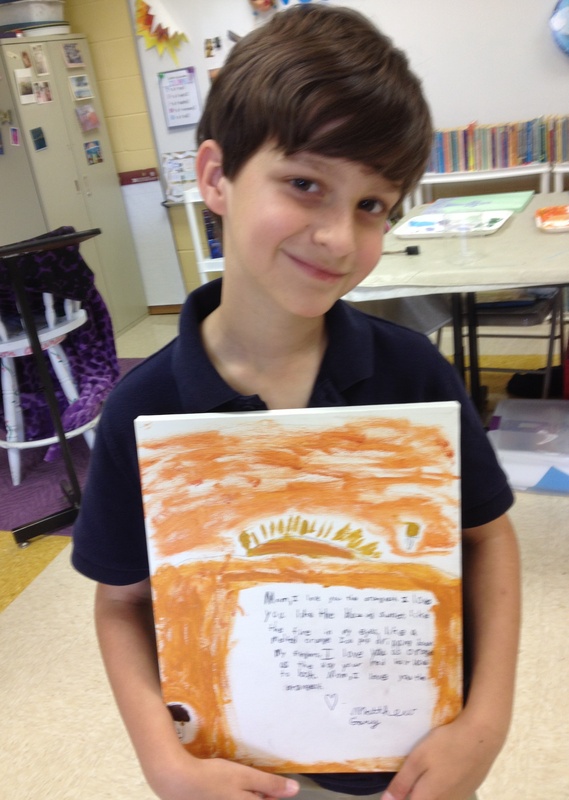 They typed and printed and painted a background for their poems on a canvas board. I think many mothers will be brought to tears by these gifts of love. 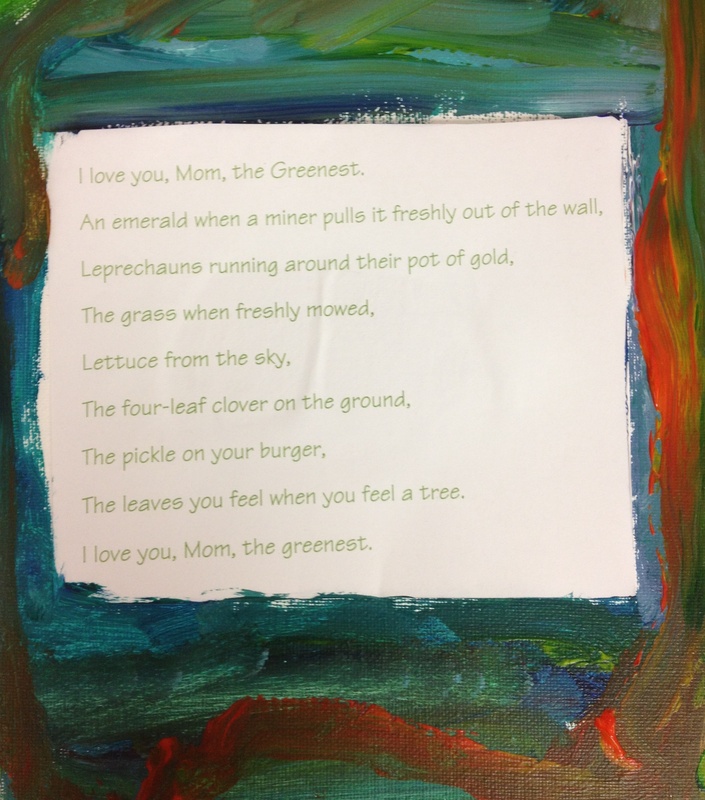 I love you, Mom, the Greenest. The leaves you feel when you feel a tree. Mom, I love you the orangest. your red hair used to look. 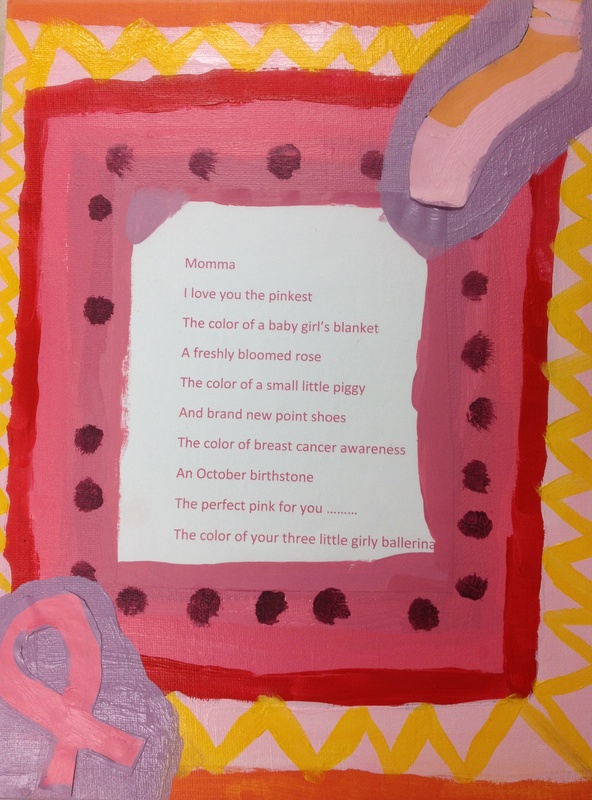 For more Mother’s Day poems, go to our kidblog site. My students love comments. 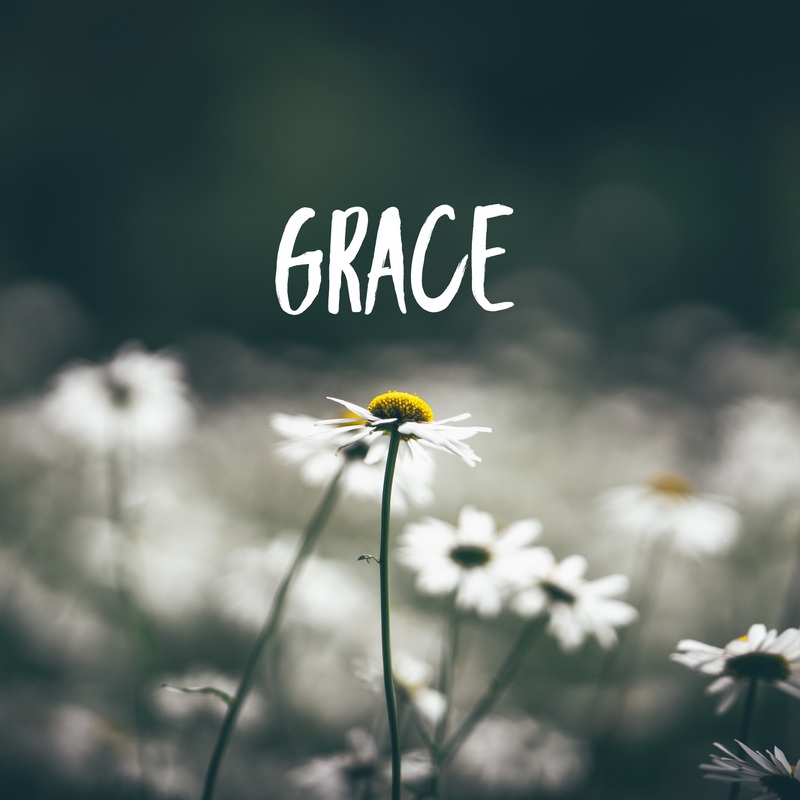 Poetry Friday is hosted this week by Elizabeth Steinglass. Ahh, these are beautiful. Left me with tears in my eyes. I don’t have time this am, Margaret, but will come back later for your students. I am so impressed with their images! Love that “pickle on your burger”! Indeed, their mothers will love these! Oh they are lovely! I particularly like ‘lettuce frpm the sky’ Funny I should read the orange one, I just started a poem about an orange yesterday. Their mothers will love those poems. These students’ mothers are very lucky indeed. Love Barbara Joosse books! What great lines! As orange as the way your red hair used to look! There are going to be some very happy moms on Mother’s Day. I was tempted to ask the student to change that line, but when we talked about it, he said she once died her hair red. Now it’s black. I thought Mom would get a kick out of it. Wow – what lucky moms, special kids, and a terrific teacher! These will be treasured. Robyn, Thanks for commenting on the kidblog site. This site has given them a wider audience and done wonders for their motivation to write. Wow, these are so great! Oh my! What mother wouldn’t be brought to tears by these colorful, sentimental masterpieces. I know I would.